Whiplash is one of the most common injuries in car accidents. This is particularly true if you have been rear-ended. Whiplash is potentially a serious injury and requires medical attention as soon as possible. Since whiplash involves your neck, your head, and your spinal cord, you should not delay in seeking medical treatment if you believe you have it. Whiplash can lead to long-term disability and have a significant negative impact on your quality of life. If this is your scenario, it’s important to have a Salt Lake City car accident whiplash attorney working to secure your best interests. Your doctor’s medical assessment will be invaluable in proving your case. Depending on the severity of your injury, it may clearly demonstrate that you will be unable to return to work at the same capacity as before the accident. This will help the Salt Lake City car wreck whiplash lawyer working on your case secure the most financial compensation possible for you. One of the most important things to know about whiplash is that it does not necessarily manifest itself immediately after impact. This means that whiplash can manifest symptoms more than twenty-four hours later. While you may develop some of the symptoms described above, it is not wise to assume you do not have whiplash until you have been checked out by a medical doctor. You should also refrain from making statements about your condition at the scene of the accident. Wait until you have had the opportunity to see a doctor and get checked out for issues like whiplash. Any communication with the other party is best left to your car accident whiplash lawyer in Salt Lake City. In addition to treating your injuries, the whiplash diagnosis process itself can be both expensive and time consuming. This can involve the use of standard X-rays or specialized imaging tests—such as CT scans or even magnetic resonance imaging (MRI)—all of which contributes significantly to larger medical bills and may require that you spend additional time in the hospital. This could easily result in missing work and smaller paychecks. You deserve financial compensation for the whiplash you sustained in your accident. A Salt Lake City auto accident whiplash lawyer can help you get it. 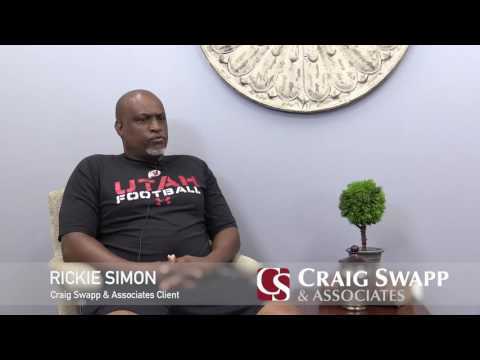 Contact Craig Swapp & Associates to discuss your case and your options in further detail by calling 1-800-404-9000 or reaching us online through the form below.